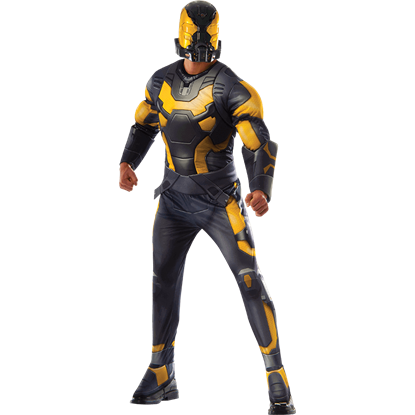 With technology first developed by Dr. Hank Pym for the Ant-Man suit, the Yellowjacket suit shares a similar shrinking ability, making it Ant-Mans perfect opponent in the 2015 MCU film retelling of the Ant-Man story. Worn by former Pym protege Darren Cross, an ethically unsound scientist who developed the suit to sell to Hydra, he and new Ant-Man Scott Lang face off in the conflict of this film. 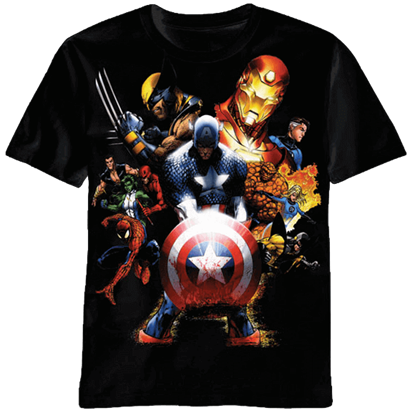 For fans of the villainous Yellowjacket, Superheroes Direct offers a variety of apparel and collectibles. 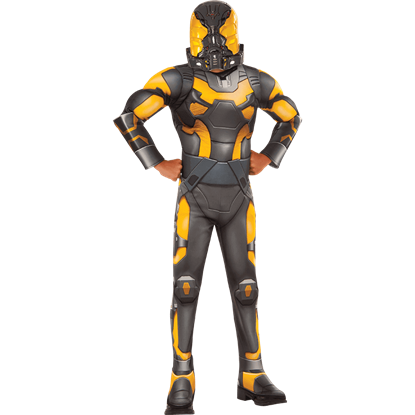 We have deluxe costumes of the black and yellow armor for children and adults wanting to harness the power of the Yellowjacket suit for the day. For everyday wear, try our Yellowjacket t-shirts and other apparel. The perfect addition to any Marvel collection, our POP figures and other statues look great in the home of any superhero fan. Darren Cross develops the Yellow Jacket suit as a weaponized version of the Ant-Man suit created by Hank Pym. 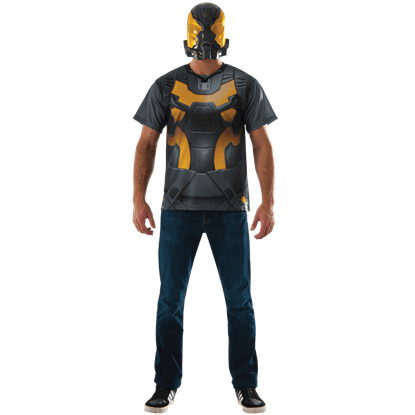 Wear this Adult Yellowjacket Costume Top and Mask on Halloween or to any costumed event and embrace your inner villain. Technology appears in the forefront of the plot of the Ant-Man film, as the villain militarizes the Ant-Man tech to create his own armored suit. 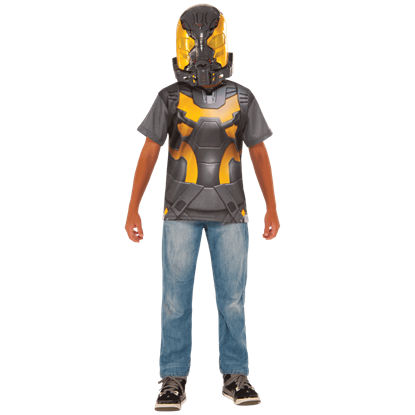 The Boys Deluxe Yellowjacket Costume lets your child dress as this insectoid foe. Darren Cross develops the Yellow Jacket suit when Hank Pym refuses to share his Ant-Man technology. Now your child can wear this Kids Yellow Jacket Costume Top and Mask and reenact scenes from the movies or dress up on Halloween. Technology appears in the forefront of the plot of the Ant-Man film, as the villain militarizes the Ant-Man tech to create his own armored suit. The Mens Deluxe Yellow Jacket Costume lets you dress up as this insectoid foe.